Sunil is the Managing Trustee, and a co-founder of Head Held High Foundation. He also envisioned and launched GAP – Global Action on Poverty, a platform which accelerates the journey of change-makers to eradicate poverty. 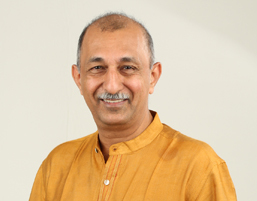 Alongside, through Foundation for Life, Sunil has led personal transformational workshops that have catalysed individuals to unearth their life purposes & lead fuller lives, over the last 2 decades. Having co-founded Automated Workflow Private Limited, which is currently Asia’s leading Business Process solutions provider, Sunil led programmes that transformed the way people work in financial organizations like Aviva, Prudential, ING and others. Prior to this, he ran IBM’s business in Asia Pacific in Content & Business Process Management solutions. Sunil also founded and ran an Office Automation company for a decade before joining IBM.